We are located in downtown Graham, North Carolina. 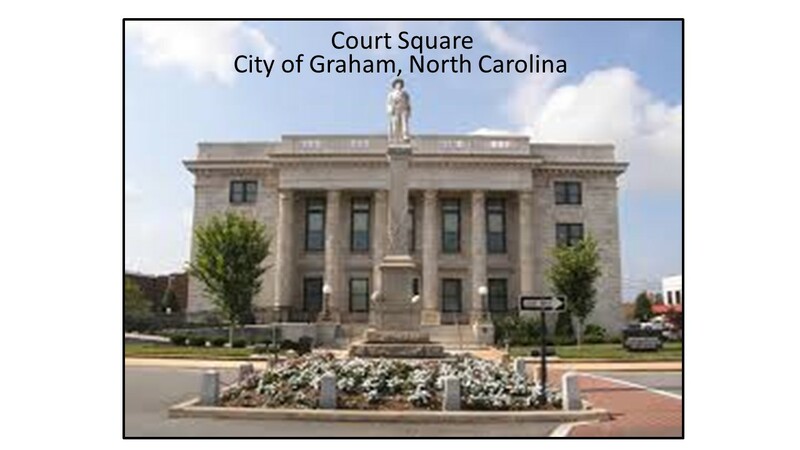 Graham is the county seat of Alamance County, which is in an area called the Piedmont. The Piedmont is located in the central part of the state, between the Appalachian Mountains and the Atlantic Ocean. Pastor: Chris assumed his duties as Pastor on August 12, 2018. Click here for the staff section with Bio’s. Associate Pastor: Rev. Shannon Hall has been on staff since October 2009. Click here for the staff section with Bio’s. Organist/Accompanist: Ann has been on staff since March 2012. Click here for the staff section with Bio’s. Administrative Assistant: Diann has been on staff since June 2017. Click here for the staff section with Bio’s. We have included several forms to assist you in communicating with us through our web site. You can find the forms on this page under separate tabs. 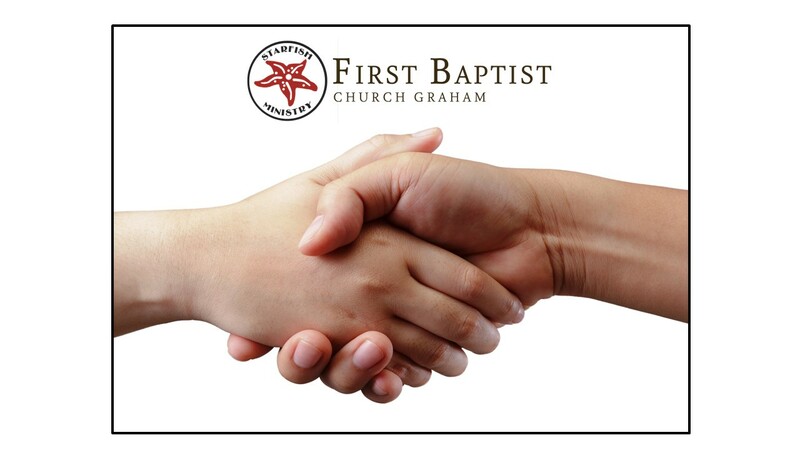 If you are a visitor who would like more information about our church or about becoming a Christian, please fill out the Visitor Card so we can get this information to you. Other items for our church members include a Volunteer form, an Address Change form, and a Submit News form. You can also sign up for our monthly newsletter – The Connection – by submitting your email address in the “SUSBSCIBE TO NEWSLETTER VIA EMAIL” section on the sidebar of each of our web pages. 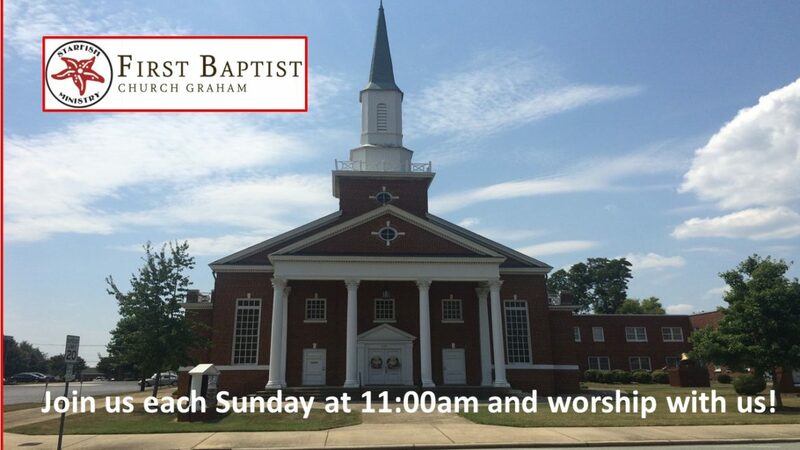 We appreciate your interest in First Baptist Church of Graham. If you have questions about the church, please submit this form or call the church office: 336-226-7395. If you are making plans to attend a service with us please include that date in the comments section so that we’ll be sure to look for you. If you are interested in volunteering some of your time assisting the church, please submit this form to us, letting us know the area(s) in which you would like to help. Planning on a move? Make sure we are able to stay in touch with you, by updating your address and letting us know about your move. If you have an announcement or an event for our monthly Newsletter – The Connection – please fill out this form. A conformation email will be sent back to you.